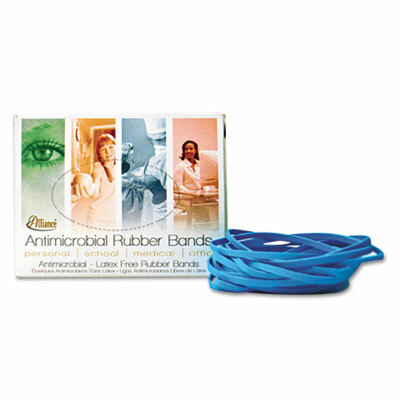 100% latex-free bands contain no natural rubber proteins and have the added benefit of an antimicrobial agent, which inhibits the growth of fungi, molds and bacteria that can cause product deterioration. Cyan blue color for easy identification. 100% latex-free bands contain no natural rubber proteins and have the added benefit of an antimicrobial agent, which inhibits the growth of fungi, molds and bacteria that can cause product deterioration. Cyan blue color for easy identification.